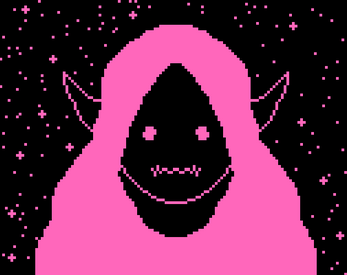 Obtain cosmic Goblin Guidance from your local HYPER*GOBLIN*FORTUNE*TELLER using guaranteed genuine Goblin Tarot Cards . This Fortune Teller was created for the Tarot Bitsy Jam. In addition, download the complete major arcana PDF guidebook to the HYPER*GOBLIN*TAROT below. Had a blast playing this, the art style and concept are brilliant. I was filled with the simple joy of goblin existence and the fortunes befalling them. Amazing work! May your hoard grow ever larger. I love this so much, these cards are so imaginative! Cosmic goblin tarot? Ultimate aesthetic. Amazed by how many cards there turned out be be. Loved it! Oh my gosh this is great! I love that you made your own tarot, and the fact that it's goblin themed is even better!!!! Wow, thank you very much! I'm just out here manifesting the Goblin Energy™ we all Need and Deserve in 2019. I love this! All the Goblin cards are incredible!